BSc (Hons) Physiotherapy; PG Cert Advanced Manipulative Therapy; MCSPSM, HPC registered. Kevin uses his skills as an advanced manipulative physiotherapist, Pilates instructor and acupuncturist to assess and treat musculoskeletal and pain conditions. Over the last ten years he has refined his clinical, psychological and interpersonal skills to treat a wide range of conditions including low back pain, neck pain, knee pain and many other pain problems. 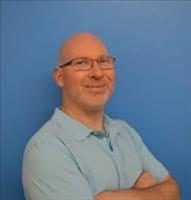 Combining advanced clinical reasoning skills with a passion for meeting and helping people, Kevin set up Gosforth Physio and Wellness. After a career in construction management, Kevin graduated with a B.Sc. Honours degree in Physiotherapy from Northumbria University, gaining wide experience in NHS hospitals in London. Following a move back to the North-East he continued to study and gain qualifications in manipulative therapy, acupuncture, pain management and Pilates. Kevin is a Member of the Chartered Society of Physiotherapy (MCSP) and is registered with the Health and Care Professions Council (HCPC).